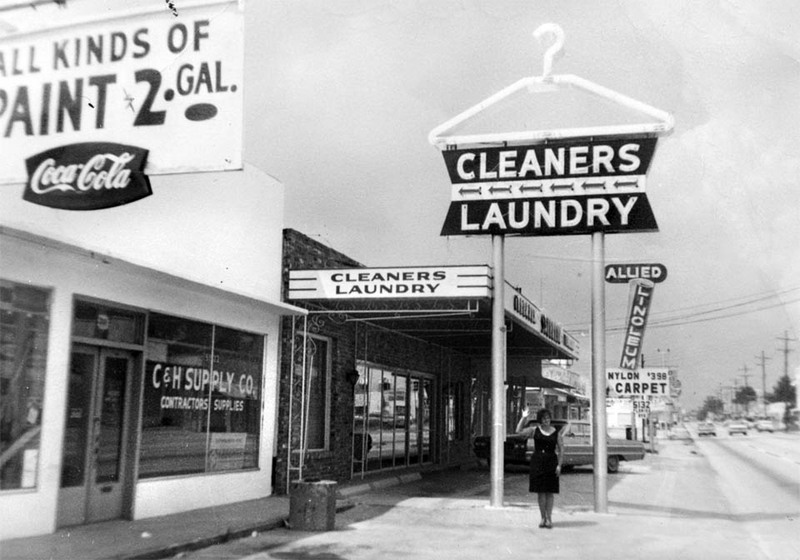 In the historic photograph, Delia Cinchett poses under one of her husband’s masterful creations; a giant neon hanger on Florida Avenue. Delia took many pictures of her husband’s neon sign work around Tampa when she was the secretary of the Cinchett Sign Company from 1956 to 1964. In the modern re-photograph, Delia’s son John tries to recreate his mothers pose under his fathers historic sign. 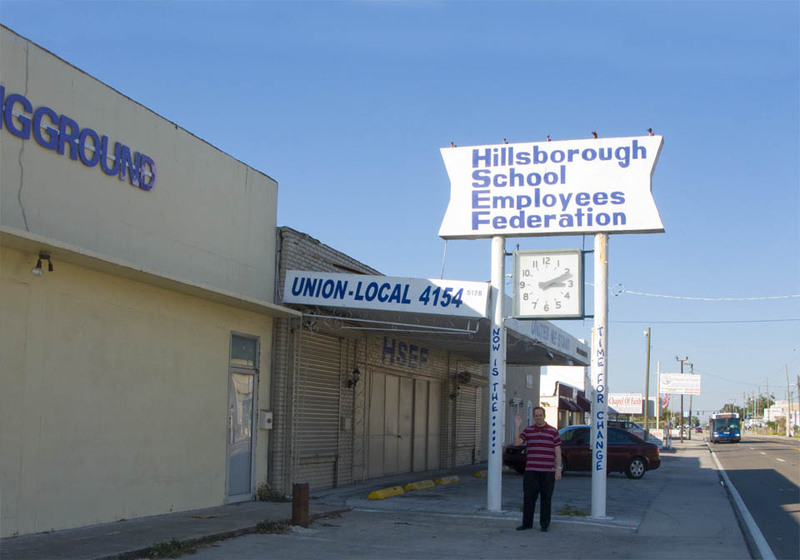 John Cinchett also published a book about his family neon sign shop called Vintage Tampa Signs and Scenes. Absolutely wonderful. What a great idea! Somewhere there is a rather larger clothes hanger missing its home! Great work. I’m sure the coat hanger has been put to good use hanging up an oversized coat.